Born Pretty Store Review + NOTD. BornPrettyStore.com sells tons of nail art products for those of us who love keeping our nails on point. 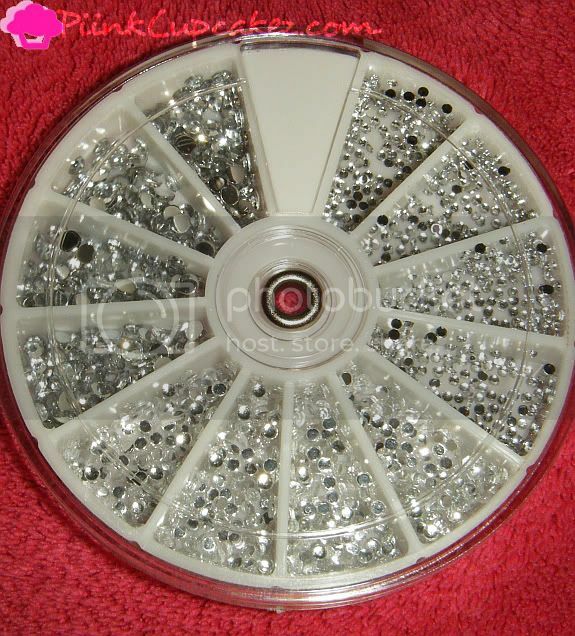 I picked out these nail art rhinestones. Not only are these gorgeous for nail art but you can also use them for makeup looks. There are 3 different sizes in the wheel. I suggest you stick with the smaller ones for nails. The largest size loses its shine once you've applied a clear coat over it. I used the smallest rhinestones in these pics. Apply base coat. Let dry. Color of your choice. Let dry. Apply top coat and place the rhinestones where you would like them to go. Apply top coat again and you're done. 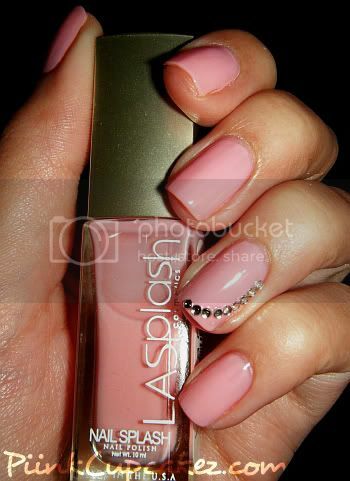 LASplash French Rose on nails. Cute & simple very lady like! Gorgeous! You have the perfect nail shape. wow this look is absolutely beautiful! I love how you curved the rhinestones. I'm so trying this next time I do my nails. I need to buy those rhinestones lol.